After a Sold-Out Tour across the UK & Europe, the band are looking forward to rocking out with their US & Canadian fans in August and September! 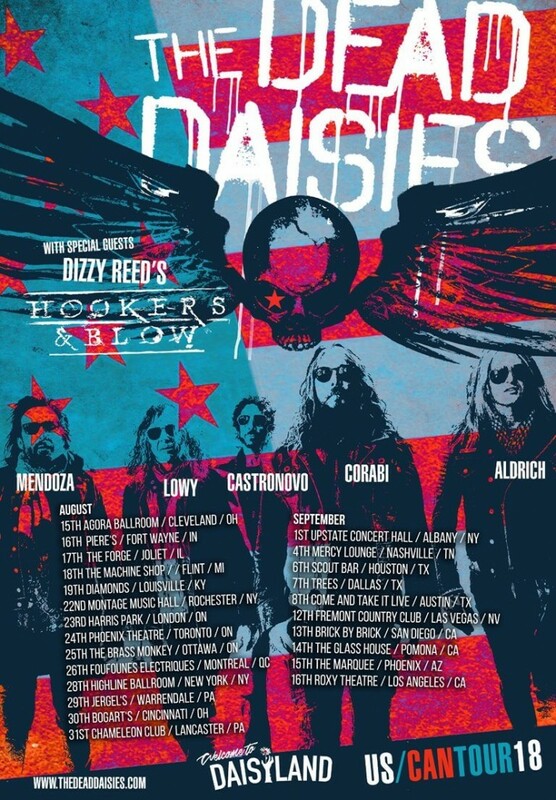 The guys are also happy to announce that an old friend of the Daisies, Dizzy Reed, is bringing his band HOOKERS & BLOW along as the Tour’s Special Guest. Don’t miss out on this amazing summer of ROCK and get your tickets via https://thedeaddaisies.lnk.to/burnitdown!! Let’s RISE UP AND MAKE SOME NOISE!! !